MISSION — It’s hard to believe, but a Landry Gilpin signing ceremony wasn’t in the cards just a few months ago. Gilpin had had football programs reaching out to him for a while, but he had been leaning toward pursuing academics as a full-time college student. 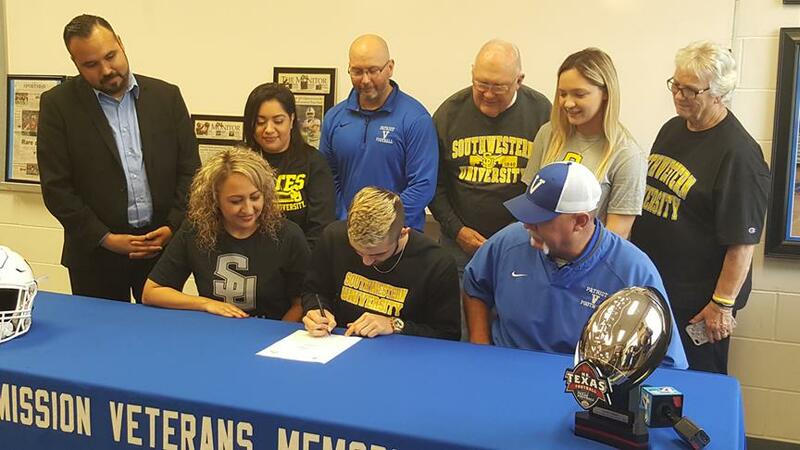 Gilpin, along with his parents, took an official visit to Southwestern University in Georgetown, which is a half-hour north of Austin up Interstate 35. Upon his arrival to the campus and athletic facilities, the Gilpins were smitten. Read the rest of the story at RGVSports.com.